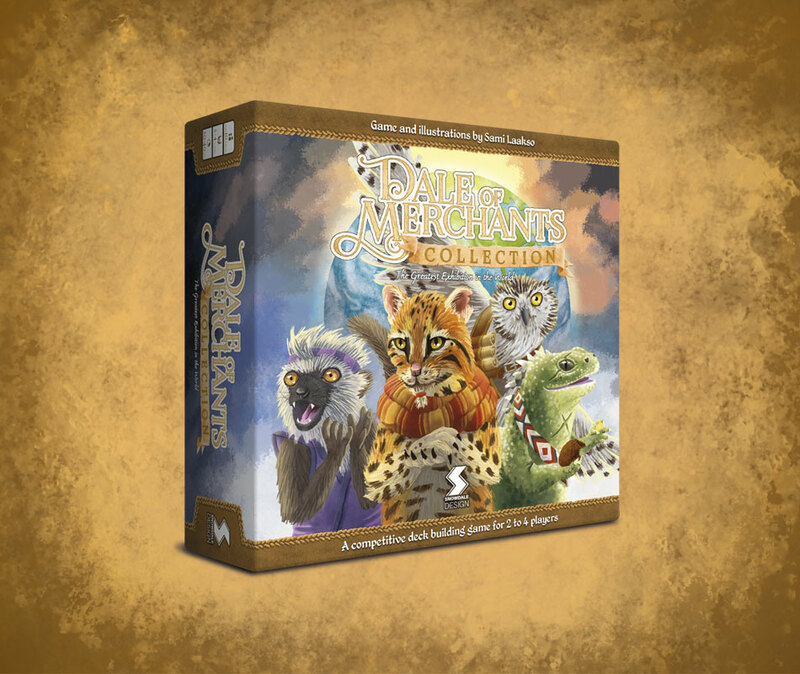 Dale of Merchants Collection is a stand-alone game in the Dale of Merchants series and, as with the previous entries, is fully compatible with other Dale of Merchants games. It introduces new features to the series and is designed as advanced content for existing fans of the series. The game comes in a larger box with enough space to house all of the content from existing and future Dale of Merchants releases. A completely new feature in the series are the character cards. These cards are received at the start of the game and provide players with unique and powerful abilities that drastically influence the game. There are dozens of different character cards which will provide even more variety and depth to the series. More information on the game can be found on its dedicated page. Further information regarding the Kickstarter campaign will be released later here on the website, Twitter as well as over at BoardGameGeek. Subscribe to the newsletter by using the form below to stay up-to-date on Dale of Merchants news.